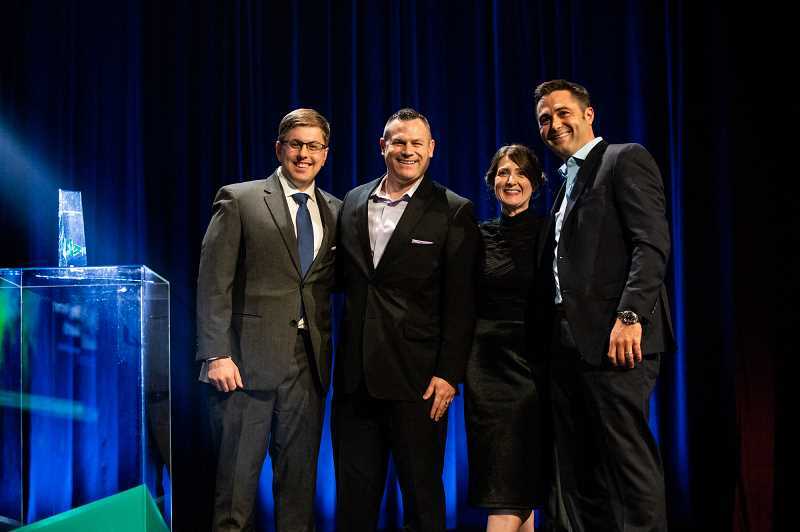 Microsoft has awarded national digital marketing agency Logical Position (LP), with the "Partner of the Year" award for the Americas, as well as the "Channel Partnership of the Year" award for North America at the Global Bing Partner Awards. The awards honor individuals and organizations behind some of the most impactful, innovative and performance-driven work from Bing Ads' Partners in North America, Europe and Asia-Pacific. Award winners were celebrated on May 2 at the Bing Partner Summit Opening Party and Awards Gala, in Seattle, Washington. As a Bing Partner, LP is part of a select group of top-performing partners acting as trusted advisors to their growing customer base for search advertising opportunities with the Bing Network. This enables LP to enhance the expertise and service provided to clients through exclusive access to training, marketing and technology development. "We are honored to receive multiple awards of this caliber, especially among such a high-producing, successful network of partners," said Michael Weinhouse, founder and co-CEO of LP. "By dedicating attention to the growth of our partnership and working alongside Bing to improve its products and features, we've ensured that our mutual short-term gains will turn into sustainable success in the long run." On a daily basis, LP works with Bing to test pilots, develop new initiatives and monitor the growth of LP's Bing accounts. By investing both in personnel dedicated to Bing and creating active engagement with Bing on pilots, LP has proven its dedication to enhancing the expertise and service provided to its clients. LP looks forward to expanding their search advertising offering with Bing Ads as it continues to grow globally, with one third PC search market share in the US, over 20 percent in the UK and over 10 precent in five additional markets. "We are pleased to recognize Logical Position's work with the 'Partner of the Year' award for the Americas, as well as the 'Channel Partnership of the Year' award for North America as part of our Bing Partner Awards," said Steve Sirich, general manager of Bing Ads. "These awards celebrate the successful, innovative and inspiring work from our global Bing Partner Program, and the results appreciated by our partners and their customers." Headquartered in Lake Oswego, Logical Position (LP) is a digital marketing agency offering pay-per-click (PPC) marketing, search engine optimization and website design. LP has won consistent accolades as an Inc. 500 company, a Premier Google Partner, a Bing Elite SMB Partner, a Fastest Growing Company (Portland Business Journal), a Top Workplace (The Oregonian), a 100 Best Company (Oregon Business) and #3 Best Workplace in the country (Inc.). For more information visit logicalposition.com.